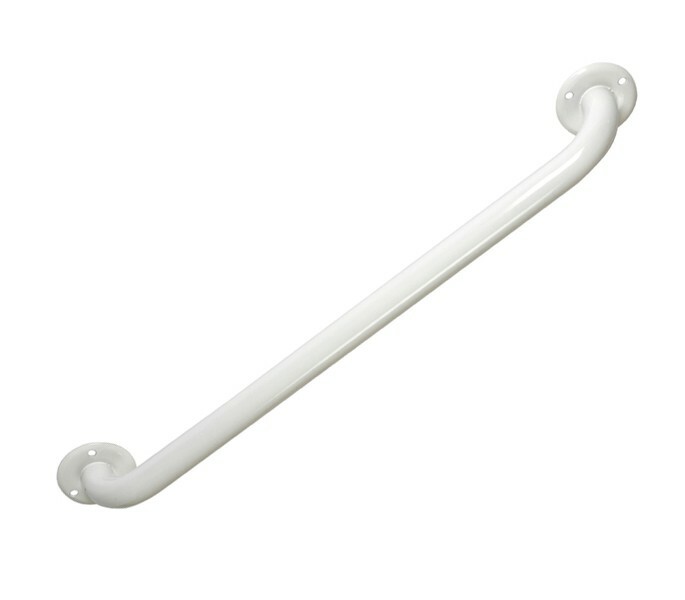 These bathroom grab rails can be used as part of a Document M pack to provide additional support in a disabled bathroom or toilet. 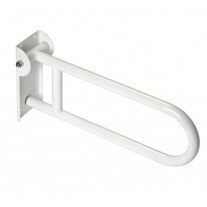 Our disabled handrails are made from grade 304 stainless steel and the powder coated white finish provides a classic appearance for a high quality, sturdy rail. 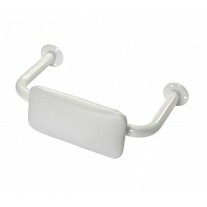 This grab rail can be used by itself or alongside our other accessories for disabled bathrooms. 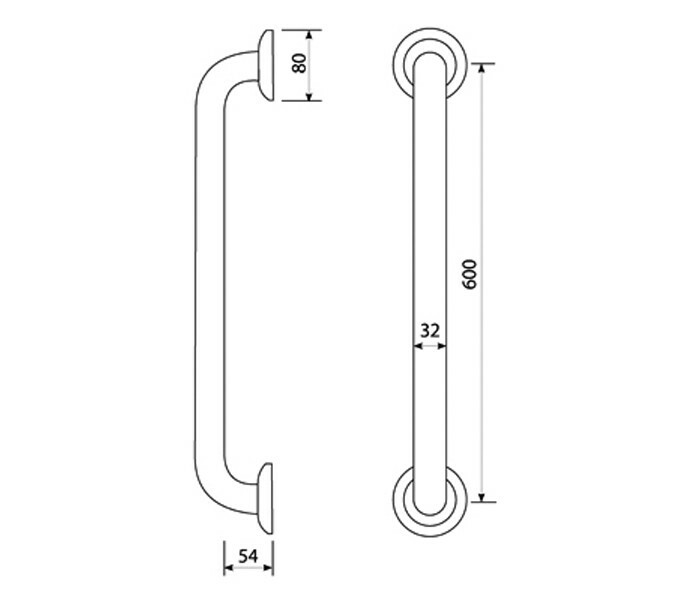 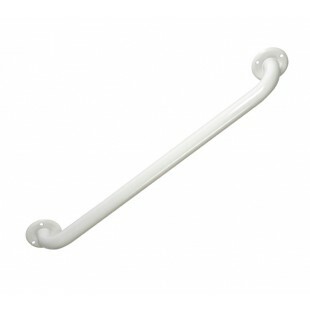 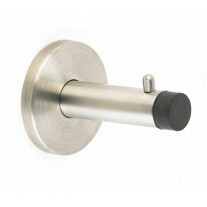 Handle King’s bathroom grab rails have a diameter of 32mm and a length (centre to centre) of 600mm; they are sold individually, with fixings for installation onto reinforced walls or doors included.